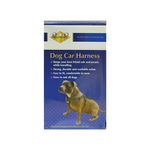 Travelling in the car with your dog is a lot easier with restraint products. 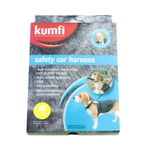 Hammock seat covers, tagalong booster seats, seat belt attachments for dogs, and pet safety seats are all available to make car travel easier. 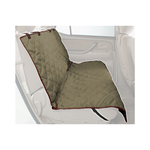 Fabric chair covers help by covering the surface of your backseat to protect from dog fur, and many keep your pet enclosed within a hammock-style nook at the same time. 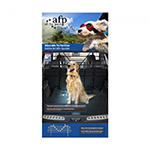 Perhaps you ride with your dog in the back of your car? 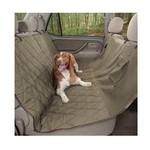 A waterproof cargo liner can be used to protect the back of your car from dog hair. 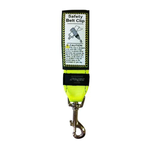 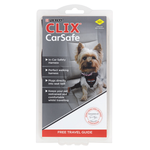 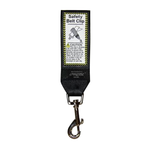 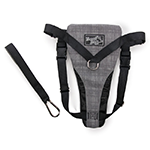 Keep your dog safe with a dog seatbelt clip-on, which attaches to your dog's harness and keeps them confined. 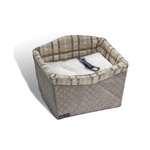 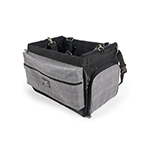 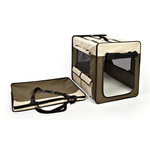 A wide range of carriers are also available to keep smaller pets confined and safe.